~ Dearest Babies, I have once again broken a tusk doing the Happy Dance, for today is a day of unparalleled joy in our humble yet picturesque Temple. This day brings us a gift that we have Om’ed over for many moons and chanted for until our trunk went sore. We are finally blessed, dear acolytes, with the first scroll bearing the incomparable brilliance and unequivocal wit of the prolific and agile mind of Miss Jane O‘Donnell. We are so very privileged to have this coveted contribution from Jane, whose mad literary skillz - much coveted by giant corporate doo-dah’s like MTV News & Baseline/Hollywood.com and which currently lend their light the MSG Monitor - grace our modest little shrine. Here are Jane’s recollections of her date with the World’s Greatest Fictional (?!) 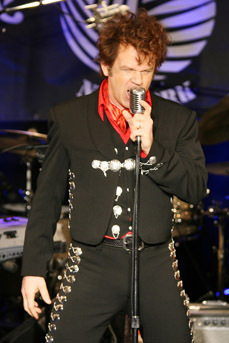 Rock Star, Mr. Dewey Cox. 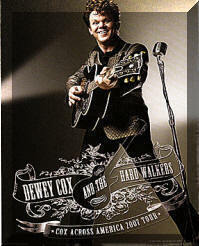 Dewey Cox and the Hard Walkers' seven-date tour wrapped up on December 19 at the Knitting Factory and we were there. John C. Reilly put on (and took off, piece by piece) a mariachi-inspired stage ensemble, sang Amy Winehouse's "Rehab," exposed himself (we presume it was a prosthetic, but are far too ladylike to have looked close enough to be sure) and we were right up front. Make no mistake: This was an event. 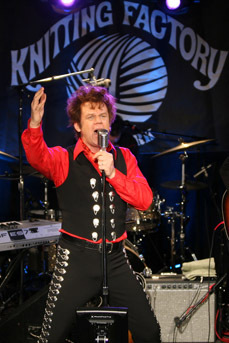 While the concert was the natural extension of the faux biopic, there was nothing fake about the music happening onstage that night. The singing was pretty great, the band was sharp and the stage presence -- well, that was pure magic. New York singer/songwriter Mike Viola, co-author of several of Dewey's songs -- and the reason I was familiar with "Darling," "A Life Without You" and "It's a Beautiful Ride" long before the movie came out (he previewed them live while he was working on them) -- brought the behind-the-scenes effort to the fore as the guitarist of the Hard Walkers, the straight-faced four-piece backing up a Cox on loan from the great beyond. The band powered through a set that hit on just about everything from the film, save the divine "Darling" as well as the axed punk version of "Walk Hard" (Dewey discovers cocaine!) 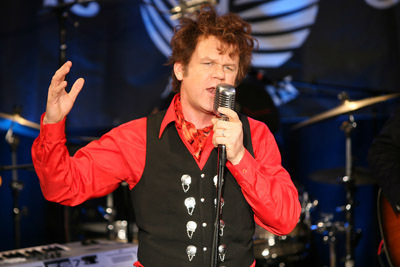 promised on the setlist, with a bouncing ferocity -- seriously if this was supposed to be a half-baked promo performance, someone forgot to tell John C. Reilly. All in all, the show served as a great extension of the movie. Sure, we got to see his arc from a school talent show to a lifetime achievement award (if you think this is a spoiler, you have no idea what you're in for), but we never really got a handle on what it was like to witness a full-on live performance. Now that we have, it seems like it is time for a repeat viewing of the film.